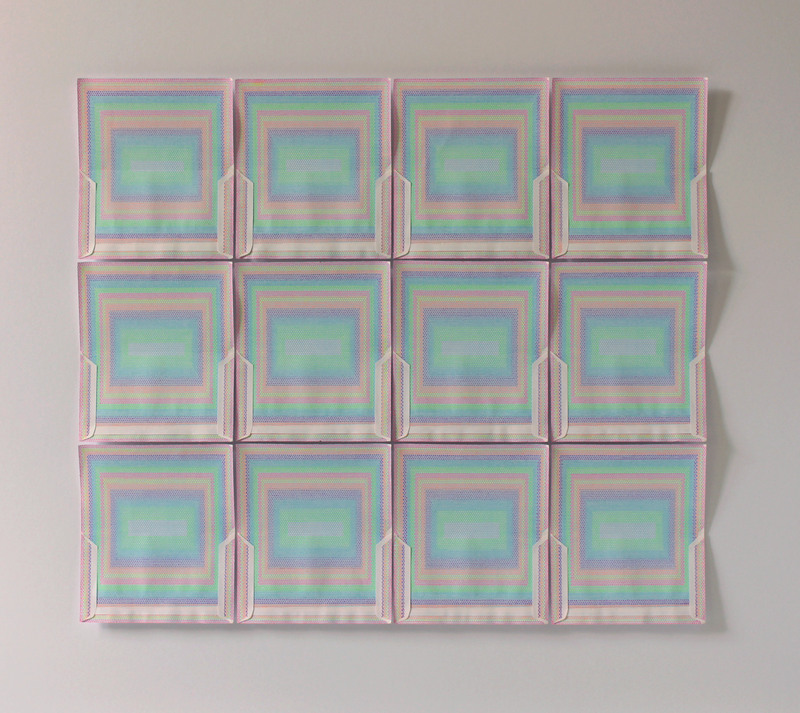 Ruth Chambers is the latest artist who I’m excited to add to my contemporary art collection. She transforms opened envelopes – sent to her, found, or from the office – into incredible artworks. Drawing onto and into the paper, she works with their textures, folds, patterns and creases. The effects are mesmerising, speaking of the everyday and the ephemeral, and redefining the boundaries between drawing and object. I caught up with this London-based artist to find out more about her unique work, and the increasing attention she is receiving from the art world. The idea of drawing onto envelopes first came to Ruth Chambers a few years ago, when she was working in an office. She recalls “receiving, opening and discarding dozens of letters weekly”. Increasingly mindful of the process, she began to notice the different patterns on their interiors. “I was intrigued by the idea that they were there to conceal and protect the confidential contents of the letters”. At the same time, she was going through a period of intense observational drawing as an artist. Interested in the “gap” between the object drawn and the drawing itself, it was this concept which led her to draw directly onto envelopes. 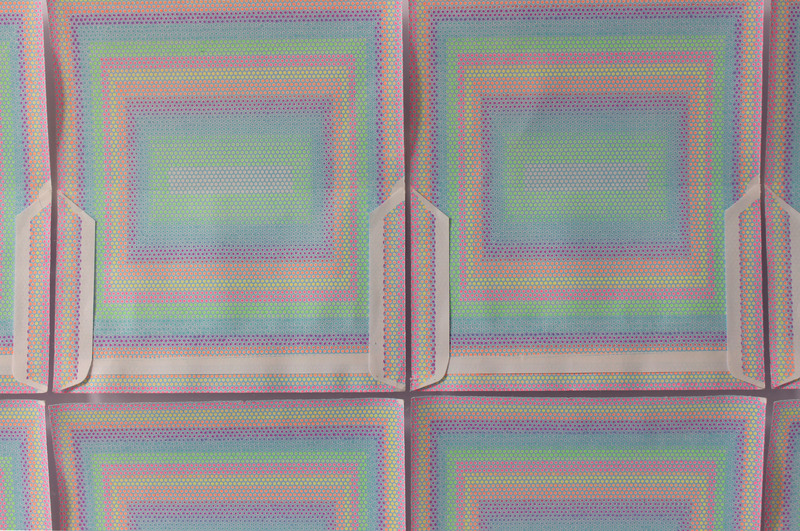 The series began on single envelopes. Ruth Chambers drew with office materials: biro, pencil, gel pens. Attracted to their existing patterns and grids, she used the envelopes as a basis of mark making, establishing a rhythm and relationship in response to the object. She also reacted to the shape of the envelopes’ edges, any existing marks on the paper, and plastic surfaces. You can see in works such as ‘Crusade’ that she used the object itself as a tool to generate marks, allowing the envelopes’ formal elements to determine her abstract, intersectional patterns. She has responded reverentially to the original topographies of the surface, structures and shadows. “I became absorbed in the drawn surface, the shiny nature of the graphite and biros that I was using, watching the drawing take shape and the marks accumulate over long periods of time. The repetitive action of making marks across the surface meant that subtle changes in tone and texture were multiplied and revealed”. With her envelope art, Ruth blurs the boundaries between object and drawing. Drawings usually dominate the surface onto which they are made. Instead, with her envelope art, Ruth Chambers takes the lead from the object’s original structures and identity. Starting out, Ruth Chambers drew onto envelopes in “stolen moments” of time, either in the office, or on the tube on the way to work. She explains: “Because they were so small and could fold away, they were portable and felt private”. She also remarks on the meditative process of mark making, which absorbed her in “a compulsive, rhythmic and healing” manner. “They are the result of a prolonged, meditative and compulsive response to the opened envelopes: the shape of their edges and the pre-existing marks on their paper and plastic surfaces. They investigate the potential of and pleasure in repeated actions; how marks ‘behave’ within a context where many formal elements determine the mark-making process”. As the series has progressed, Ruth Chambers has also worked onto envelopes which she is sent or finds, often in recycling bins or anywhere they might have been discarded. 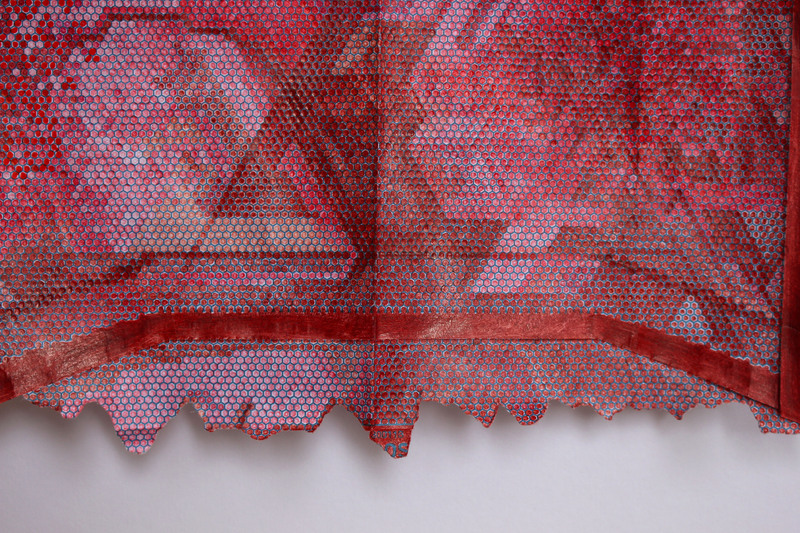 She has worked with red biro onto ‘Scarlet Letter’, enhancing natural patterns with hovering, shimmering shapes. As your eye traces overlapping marks, the envelope emerges as a carrier of memories. It’s at once intricate, delicate and enduring. “Envelopes are ephemeral carriers of hopes, disappointments, often mundanity. They connect us, marking time, punctuating the ebb and flow of human life”. The artist explains that this series touches on the materiality of communication, or rather the de-materialisation of modes of communication. Today, messages are sent without a thought for the time and space through which they travel. “The envelopes point to a written culture that is becoming increasingly of the past. We no longer have to wait for a letter to arrive in our culture of instantaneous communication”. Recent work has also further explored minimalistic repetitive actions over a larger area, using multiple envelopes in a grid formation. For example, the 12 envelopes in ‘Correspondence’ suggest the structures by which we organise time – the 12 months of the year. Ruth treats the drawings as sculptural objects. By mounting them in box frames, this preserves their three-dimensional qualities. Central creases, torn edges and shadows became part of the work. These are artworks which reveal themselves over time. Ruth studied a mix of Fine Art, Art History and Philosophy at universities including Durham and Oxford. Today, she is an artist and designer specialising in printmaking and drawing. She has also produced surface pattern designs for Ensell and Hall. Ruth Chambers has been featured in numerous exhibitions in the UK, including the RCA Secret exhibition (2015, 2016 and 2017), Sketch to the Limits, Foyles Gallery London (2012) and Jerwood Drawing Prize (2011). More recently, she was selected for the ING Discerning Eye Exhibition at the Mall Galleries in London (2018) and the prestigious Trinity Buoy Wharf (formerly Jerwood) Drawing Prize exhibition (2018). Want to find out more about this intriguing artist? The head over to Ruth Chambers’ website and give her Instagram feed a follow. P.S. 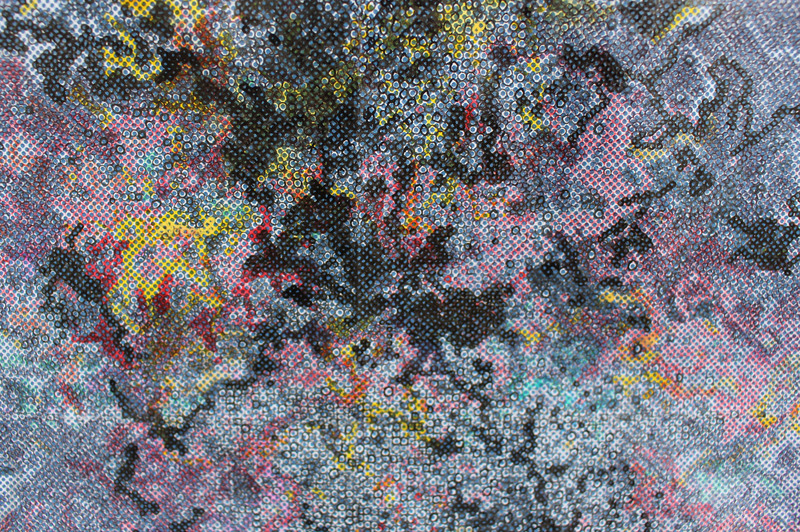 Want advice on collecting contemporary art? Take a look at my list of the best books on art collecting today.